There are many budget smartphones in the Indian market, but only a handful of those make the cut. Xiaomi is clearly one of the top preferences for the budget smartphone In India, as the Chinese tech giant has grown massively by offering a wide selection of affordable smartphones with the best specs and features. But the company is not without a challenge. Xiaomi gets a tough competition from Amazon’s 10.or D brand gets another device 10.or D (Tenor D) under its hood. At This time all the smartphone makers company will be trying to take down their market as Xiaomi smartphone like Xiaomi’s Redmi 5A that was recently launched with a price tag of Rs 4,999 only and selling like a free deal how to grab this. Amazon India making its alleged in the market which has already launched two phones in the market 10.or E and 10.or G. The all-new 10.or D packs interesting features and the final price is yet to be revealed. But the hints are pointing directly towards Xiaomi Redmi 5A range. 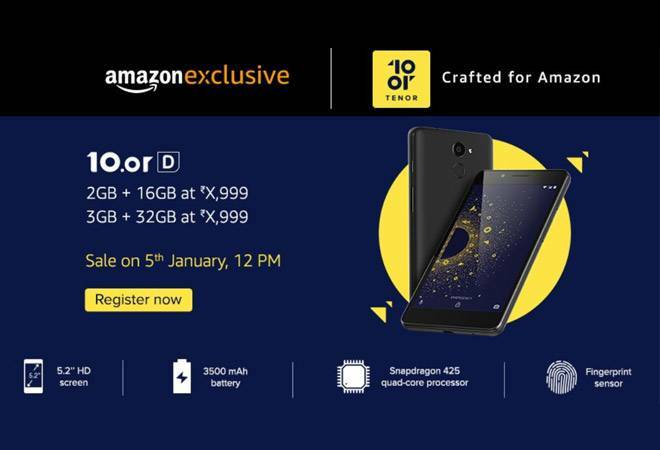 Tenor 10.or D will go on sale will exclusively on Amazon from January 5 onwards. The company will likely announce the price of the handset before that, but we are here comparing the new handset against the popular Redmi 5A to give buyers an early experience. Xiaomi 5A is the best budget smartphone. Xiaomi’s budget smartphone has excellent build and they’re long-lasting with their battery backup or with User Experience. It also has 1000+ of service centers across all over India. If you’ve owned a budget Xiaomi phone before and you’re searching for a low budget smartphone with 2GB RAM phone fingerprint scanner then must buy Amazon Tenor D. Here you will check comparison between both the smartphone. Xiaomi Redmi 5A coupled with a 5-inch display with 1280×720 pixel resolution and carries Xiaomi’s signature design on the back. On the other hand, 10.or D comes with a slightly bigger 5.2-inch screen with the same resolution density as the Redmi 5A. The difference between the display is impressible, but buyers can make their choice based on the overall design, density, & resolution. 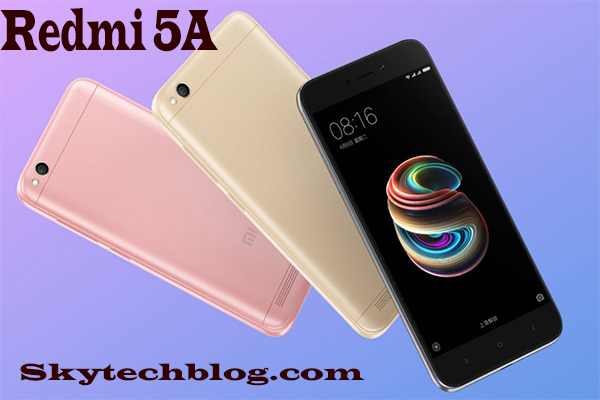 Once again, both the smartphones Xiaomi Redmi 5A and Tenor 10.or D is powered by the same Qualcomm Snapdragon 425 SoC processor chipset clocking at 1.4GHz speed. Both phones also come with 2GB RAM and 3GB RAM variants. Both the smartphones are gear up with Android Nougat 7.0, but users’ experience and feedback show that the Redmi 5A is much more user-friendly MIUI os than any other smartphones. In terms of photography Both the smartphones, Xiaomi Redmi 5A and 10.or come with a 13-megapixel rear-mounted camera with LED flashlight and a 5MP front-facing selfie camera for selfies. The setup looks pretty standard, but we will only be able to comment if there’s any difference in the quality by getting our hands on the 10.or D, which should be soon. As we see all the specs, we expect both phones to perform almost the same. Both phones also come with 16GB ROM and 32GB ROM inbuilt storage that can be expandable up to 128GB via microSD card tray. Amazon Tenor 10.or D packs more power than the Redmi 5A now. It is packed with 3,500mAh battery inside the Tenor 10.or D while the Redmi 5A is powered by a 3,000mAh battery inside. Connectivity options in both smartphones include Wi-Fi, GPS, Bluetooth, USB OTG, FM, 3G and 4G (with support for Band 40 used by some LTE networks in India). Sensors on the phone include Compass Magnetometer, Proximity sensor, Accelerometer and Ambient light sensor. So here you will see difference between Redmi 5A & Amazon 10. or D both the smartphone are pretty good in their range and as we compare between there specs & features Redmi 5A is not many features than Amazon 10. or D. Amazon Tenor 10. or D has a fingerprint scanner but in Xiaomi Redmi 5A has no fingerprint scanner, In comparison to design and sleek both the smartphone is good, If you pre-owned Xiaomi then go with Amazon Tenor 10.or D.
If you have any more queries let me know in Comment Section. Xiaomi Redmi 5A Desh Ka Smartphone Launched In India Price is Rs 4999!